On this page you'll find a selection of items belonging to the group of dairy and egg products. Through the links on this list of foods that are dairy and egg products and you will know their properties and amount of nutrients that each food has. Below is a list of foods belonging to the category of dairy and egg products. Clicking on each one of them, you can view the properties of oils and nutritional information in addition to the benefits to your body. 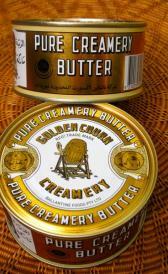 Butter without salt: Butter without salt is high food energy, total lipid and vitamin a. On the other hand. is low in protein, ash and carbohydrate. Shredded parmesan cheese: This food is low in carbohydrate, total dietary fiber and total sugars but Shredded parmesan cheese has food energy, protein and total lipid in high quantity. Hard type goat cheese: High in food energy, protein and total lipid and low in carbohydrate, total dietary fiber and potassium. Semisoft type goat cheese: Semisoft type goat cheese is high protein, total lipid and calcium. On the other hand. is low in carbohydrate, total dietary fiber and manganese. Soft type goat cheese: This food has a low quantiti of carbohydrate, total dietary fiber and total sugars but has a high quantity of total lipid, copper and saturated fatty acid. Cheese fondue: This food has a low quantiti of carbohydrate, total dietary fiber and total sugars but has a high quantity of calcium, phosphorus and saturated fatty acid. 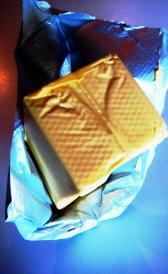 Queso anejo: Queso anejo is high protein, total lipid and ash. On the other hand. is low in carbohydrate, total dietary fiber and iron. Queso asadero: This food is low in carbohydrate, total dietary fiber and iron but Queso asadero has protein, total lipid and ash in high quantity. Queso chihuahua: This food has a low quantiti of total dietary fiber, iron and potassium but has a high quantity of protein, total lipid and ash. Frozen raw whole egg: This food has a low quantiti of carbohydrate, total dietary fiber and total sugars but has a high quantity of selenium, pantothenic acid and food folate. Frozen raw white egg: Frozen raw white egg is low in total lipid, carbohydrate and total dietary fiber. 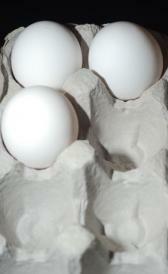 Dried white egg: Dried white egg is high protein, ash and magnesium. On the other hand. is low in water, total lipid and total dietary fiber. Reduced fat sour cream: This food is low in total dietary fiber, total sugars and iron but Reduced fat sour cream has saturated fatty acid in high quantity. Light sour cream: In this food there are some nutrients that are found in low quantity, for example total dietary fiber, total sugars and iron. Fat free sour cream: In food has a low quantity of total lipid, total dietary fiber and total sugars. Fat free cream cheese: This food is low in total lipid, total dietary fiber and iron but Fat free cream cheese has calcium, phosphorus and sodium in high quantity. KRAFT CHEEZ WHIZ: High in total lipid, ash and calcium and low in total dietary fiber, iron and magnesium. KRAFT CHEEZ WHIZ LIGHT: KRAFT CHEEZ WHIZ LIGHT is high ash, calcium and phosphorus. On the other hand. is low in total dietary fiber, iron and magnesium. KRAFT FREE: This food is low in total lipid, total dietary fiber and iron but KRAFT FREE has protein, ash and calcium in high quantity. KRAFT VELVEETA: This food has a low quantiti of total dietary fiber, iron and magnesium but has a high quantity of total lipid, ash and calcium. KRAFT VELVEETA LIGHT: High in protein, ash and calcium and low in total dietary fiber, iron and magnesium. KRAFT BREAKSTONE'S: KRAFT BREAKSTONE'S is high saturated fatty acid. On the other hand. is low in total dietary fiber, iron and magnesium. KRAFT BREAKSTONE'S FREE: In this food there are some nutrients that are found in low quantity, for example total lipid, total dietary fiber and iron. KRAFT BREYERS: In food has a low quantity of total lipid, total dietary fiber and iron. KRAFT BREYERS LIGHT: In food has a low quantity of total lipid, total dietary fiber and iron. USDA Commodity egg Mix: This food is low in water, total dietary fiber and manganese but USDA Commodity egg Mix has food energy, protein and total lipid in high quantity. Dulce de leche: Dulce de leche is high carbohydrate, total sugars and calcium. On the other hand. is low in total dietary fiber, iron and copper. Queso seco: This food has a low quantiti of carbohydrate, total dietary fiber and total sugars but has a high quantity of protein, total lipid and ash. Queso fresco: High in total lipid, calcium and phosphorus and low in carbohydrate, total dietary fiber and iron. Queso blanco: Queso blanco is high protein, total lipid and ash. On the other hand. is low in carbohydrate, total dietary fiber and total sugars.